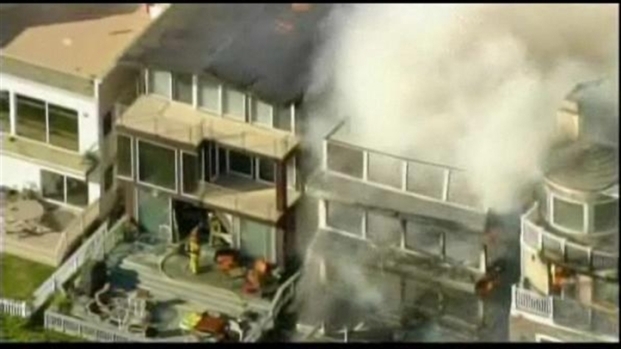 The site of a $10 million, five-alarm fire that left Sunset Beach neighbors shocked has been placed back on the real estate market. The asking price for the now-empty lot ranges from $1,550,000 to $1,980,000. In May, firefighters worked to save the three-story home before it eventually collapsed. The blaze was ruled an accident, apparently started by a flaming briquette landing on the home's wooden deck. Nearby homes were also damaged. "Come build your ocean-front dream home," according to the lot's online listing. "Steps to the ocean, this is a rare opportunity to own on the beach in beautiful secluded Sunset Beach. Lot is ready for a single-family home." 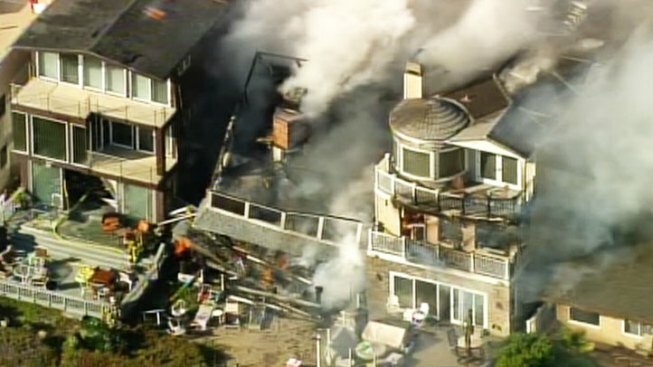 Investigators now know just what sparked a fire that destroyed one beachfront home and damaged three others in Sunset Beach. They've confirmed that the fire was triggered by a charcoal grill. The 2,250-square-foot lot is located at 16581 South Pacific Coast Highway, and is being represented by Gus Quinonez of Keller Williams Realty.